Jim speaks the language every CEO and business professional needs to hear. His messages, peppered with “Mule kicks” (short pithy comments about business that ring true) are full of information and knowledge. 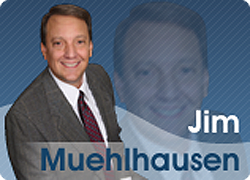 Jim Muehlhausen CPA, JD, graduated from Valparaiso University with a B.S. in Accounting, passing the CPA exam while still in college. While subsequently attending the Indiana University School of Law, he became the youngest franchisee in Meineke Discount Muffler history. After successfully selling that business, Jim founded an automotive aftermarket manufacturing concern. During his 9-year tenure, the company achieved recognition from Michael Porter of the Harvard Business School and Inc. Magazine in the IC 100 Fastest Growing Businesses. Jim went on to enter the CEO coaching business. Over the past fifteen years, Jim has personally coached hundreds of business owners and executives in over 5000 face-to-face coaching sessions and has clients in North America, Europe, Asia, and the Middle East. He has condensed the most valuable business lessons into his books The 51 Fatal Business Errors and How to Avoid Them and Business Models for Dummies. 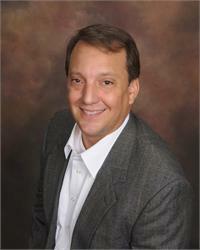 Jim serves on several non-profit and company boards of directors as well as serving as an adjunct professor of business at the University of Indianapolis. Gasoline, Cigarettes and SodaDid you know that the average gas station costs $4 million and loses money? A lousy business model, if you are only in the gasoline-selling business. Gas stations have morphed their business model to become highly profitable despite being saddled with selling gas. Nearly every business owner says, “It shouldn’t be this hard.” They are right, it shouldn’t.However every company has a business they are in (gasoline); a business they should be in (cigarettes); and the WOW business they dream to be in (soda). This program teaches business owners how to profitably shift their existing business model into the higher margin segments of their market through using 87 identifiable tactics. 51 Fatal Business ErrorsWhen you start a business, you are automatically enrolled in the world’s most frustrating and expensive school, the School of Hard Knocks. There are two types of Hard Knocks: your own, and those learned from others. The latter is much less expensive and more enjoyable. For years, I studied business owners and looked for the most common lessons from the School of Hard Knocks. Learn the lessons the more enjoyable way in this information-packed presentation. What Got You Here Won’t Get You There!Business models that worked ten years ago are starting to not work and will not work ten years from now, because how businesses will be run ten years from now is totally different from today’s businesses. Get informed about significant opportunities to establish a business model that is on the forefront. Learn about doubling your sales with half the employees, increasing your virtual presence, how to become more self-service and creating the low cost models that will win.